The e-commerce platform Liwushuo announced on April 19th that they raised 100 million yuan in Series C1 financing. The investor was not disclosed. Previously, Liwushuo raised tens of millions of yuan in Series B+ financing from Guangqu Capital in July 2017. The new financing will be mainly used on the product updates of WeChat programs and marketing promotion. Liwushuo was established in July 2014, featuring gifts and global curation guide at its initial stage, covering product categories in gifts, household products, fashion products, accessories and snacks. In 2017, Liwushuo launched “artisan plan” incubating self-owned brands and opened the first offline store in June 2017. The maternal and child export e-commerce platform PatPat announced on April 18th that they raised 300 million yuan in Series C financing. The financing arrangement was led by Sequoia Capital China and followed by previous investors, IDG Capital, Frees Fund, SIG China and so on. The financing will be mainly used to build brands and enhance supply chain, as well to further increase the support to domestic suppliers and designers. PatPat was established in 2014, targeting the middle class in the European and American areas, with family annual income of 30,000 to 90,000 US dollar. PatPat has over 20,000 SKUs on the platform covering products from 100 countries and regions. PatPat has overseas warehouses in the U.S. and Europe. The delivery time is around 4 to 10 days. The aesthetic technology e-commerce platform VeeShop announced on April 19th that they raised millions of yuan in angel financing from the blockchain operator, Coldlar. The financing will be mainly used on business expansion and team building. VeeShop was established in March 2017, providing lifestyle aesthetics related overseas smart hardware to middle-to-high-end female users. Products include female smart jewelry, smart maternal and child products and smart household products. Currently the platform has over 40 SKUs and the unit customer spending is around 800 yuan. Pet food brand Alfie and Buddy announced on April 20th that they raised 3 million yuan from Ruchuan Capital in angel round financing. The financing will be mainly used to develop cat snacks and expand offline channels. Alfie and Buddy was established in July 2017. Their early products include main meals, cat and dog snacks, and cat and dog canned food. Now Alfie and Buddy focuses on the development of cat snacks with over 30 SKUs developed. Alfie and Buddy distributes mainly online with a unit customer spending of about 200 yuan and a monthly repeated purchase rate of around 60%. Alfie and Buddy was the contestant of Luxe.Co InnoBrand Competition 2017. Chinese wine brand Guxiaojiu announced on April 20th that they raised 30 million yuan in angel financing in March 2018. The fund was jointly invested by Zhen Fund, Zhongjinhuicai and Wangxin Capital. The financing will be mainly used on product R&D and supply chain management. Guxiaojiu was established in 2017, featuring rich-flavored Chinese wine made with five kinds of grain with solid fermentation process. Currently, Guxiaojiu has launched a “light alcohol version” with 42 % alcohol. Each bottle is 200 ml. Five bottles are sold at a price of 99 yuan. Targeting the young generation, Langcai, the Chongqing spicy sauce brand announced on April 20th that they raised seed round financing from Haiying Fund under TronFund. The detailed amount was not disclosed. Langcai was established in September 2017 and has launched five products, including spicy chicken, stir-fried shredded pork, mushrooms, beef & shitake and spicy cubes with a price range from 14 to 19 yuan per 148 grams. 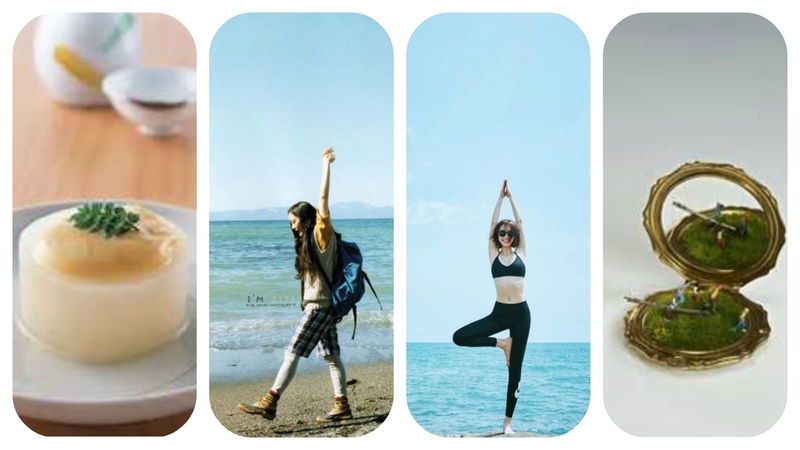 Shared fitness outlet brand Park Box announced on April 17th that they raised tens of millions of yuan A+ financing led by Huazhu Hotels Group. Previously, Park Box raised tens of millions of yuan from Whales Capital in Series A financing in November 2017. The new financing will be mainly used on product R&D and channel expansion. Park Box was established in April 2017 and has launched three different sized fitness outlets with 8, 18, and 28 square meters, respectively. Outlets with different sizes accommodate different numbers of people. All outlets are equipped with treadmills, dumbbell sets and AI smart coaches and so on. The price for non-members is 29 yuan per hour (members at 19 yuan). Currently Park Box has over 50 fitness outlets in Shanghai. The shared fitness outlet brand Miss Pao announced on April 19th that they acquired Xiaoluyuepao. Xiaoluyupao was established in September 2017, featuring couple and parent-child fitness and targeting the residential community fitness market in second-tiered cities. Xiaoluyuepao had signed with over 200 communities in Tianjin and Hebei. Miss Pao was established in 2017, featuring small-scaled shared fitness outlets. Miss Pao raised 75 million yuan in Series A financing in October 2017. In November 2017, Miss Pao acquired Daka Sports, a competitor shared fitness band. Currently Miss Pao has nearly 1,000 fitness outlets. Extreme sports themed park operator APAX Recreation announced on April 19th that they raised 100 million yuan in Series A financing from Culture Investment Holdings. The financing will be mainly used to support the operation and maintenance cost of Discovery extreme theme parks. APAX Recreation plans to expand with a speed of 2 themed parks per year in Greater China area. The first themed park incubation base is located in Moganshan, Shanghai, which has operated for over a year. APAX Recreation was established in May 2008, under APAX Group. APAX Recreation is an extreme sports themed park operator dedicated to offline events management and planning. In 2016, APAX Recreation incubated successfully the world’s first Discovery extreme Moganshan base. This project won the champion of Luxe.Co InnoBrand competition in 2016. Pan-entertainment company Block 12 announced on April 16th that they raised 43 million yuan in Series A + financing. The investment was led by Zhen Fund and followed by Gongxiang Capital and Series A leading investor Fangjunlian Capital and so on. The new round of financing will be mainly used on the continuous cultivation of IP image and the expansion of offline channels. Block 12 was established in 2013, entering the pan-entertainment market with emoji packages. Block 12 owns some popular emoji packages such as Zhangcaoyantuanzi and Zhilengshaonv and so on. At the end of 2017, the company launched claw vending machine stores, LLJ Jiajizhan. Machines contain the limited IP products of Block 12 and partner products. Currently stores have 50 to 60 machines with daily footfall of over 6,000 people. The unit customer spending is 90 to 120 yuan.